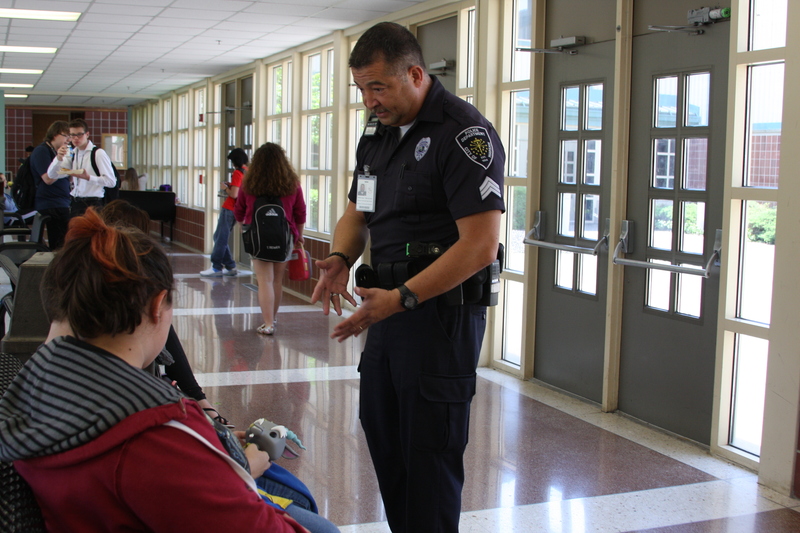 Officer Morales connects with WCS students. Life is what you make it. Everyday, kids are making choices that will impact who they will be for the rest of their lives: What type of friends should I have? Should I attend that party? Go on that trip? How do I pursue my dreams? 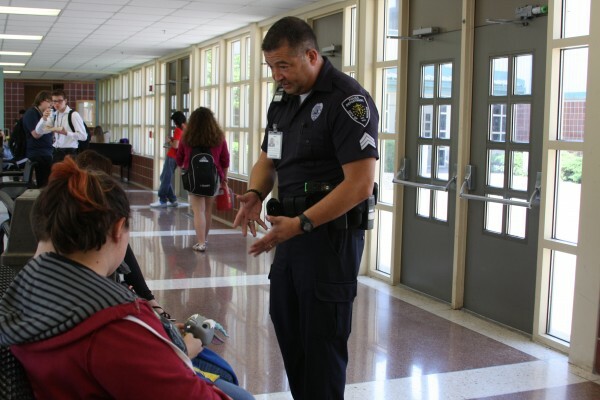 Kids need someone to mentor them along the path of uncertainty, which is why the SRO (School Resource Officer) program has existed for the last 26 years at Warsaw Community Schools. Four Warsaw city police officers are assigned to the school system to teach DARE classes, help with traffic, mentor students, and assist administration with safety procedures. Indiana is one of the top states for school safety because of this excellent program. SRO requires annual training and a 40-hour basic class on mentoring, related laws, and school policies. But the WCS program goes above and beyond. “We do a lot of things that other schools don’t to stay ahead of trends. We incorporate cameras; conduct building searches and much more. The school is the safest place to be in the whole county,” Morales said. Officer Doug Light, a DARE coach, added, “DARE stays on top of trends and makes curriculum changes when needed. Our newest one discusses topics like dealing with stress, friendship, and peer pressure. It’s not all about the drugs —though we do address tobacco and alcohol. But there will always be a diversity of tough choices kids have to make and bumps in the road. We help them learn how to deal with that. “I always tell the kids, ‘I am going to give you all the tools, and it is what you do with the tools that makes all the difference.’ So if a kid makes a poor choice, it wasn’t because DARE failed, it was because they didn’t use the tools,” explained Light. This year’s sixth grade class will have a large DARE graduation at the Manahan Orthopaedic Capital Center on May 12. Previous events have included repelling police officers from the ceilings and funny videos. This year’s celebration, which included a motorcycle riding onto the stage, was just as entertaining.